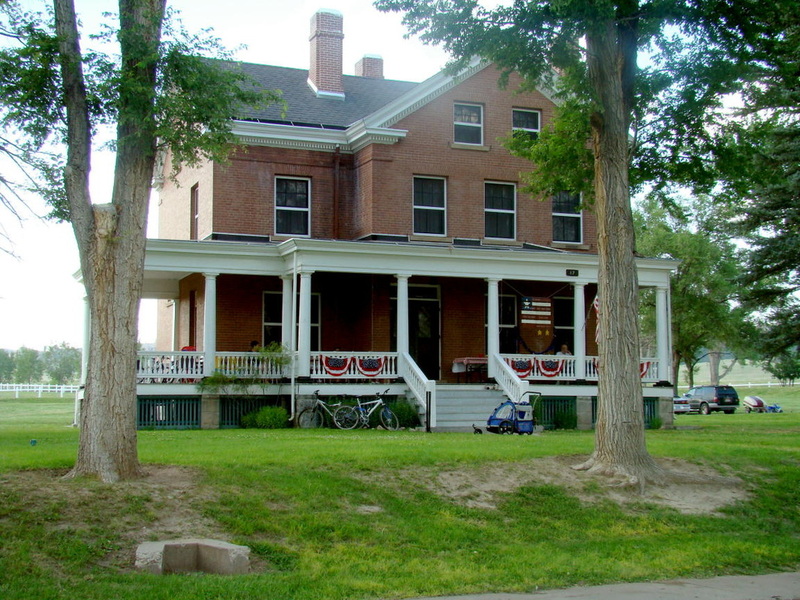 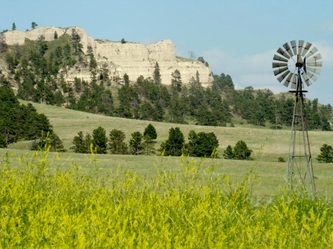 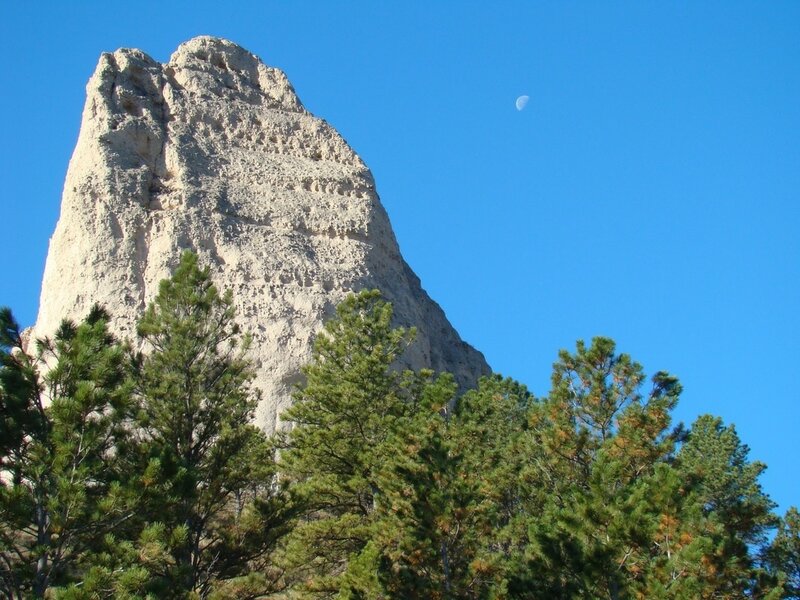 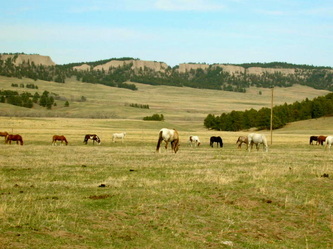 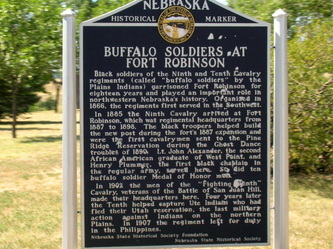 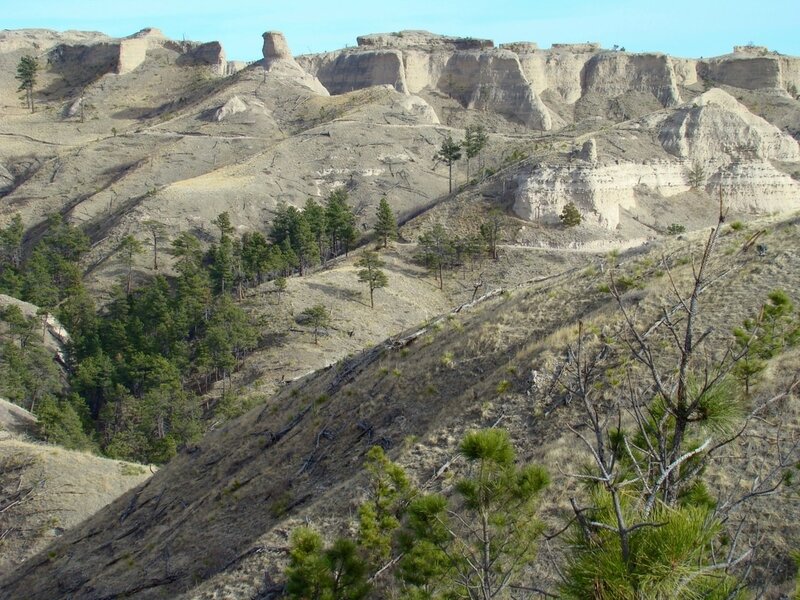 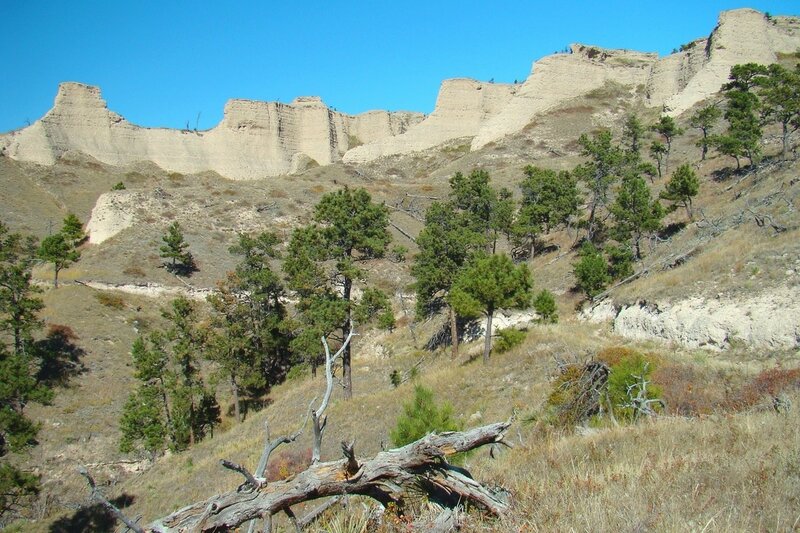 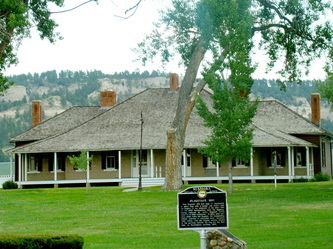 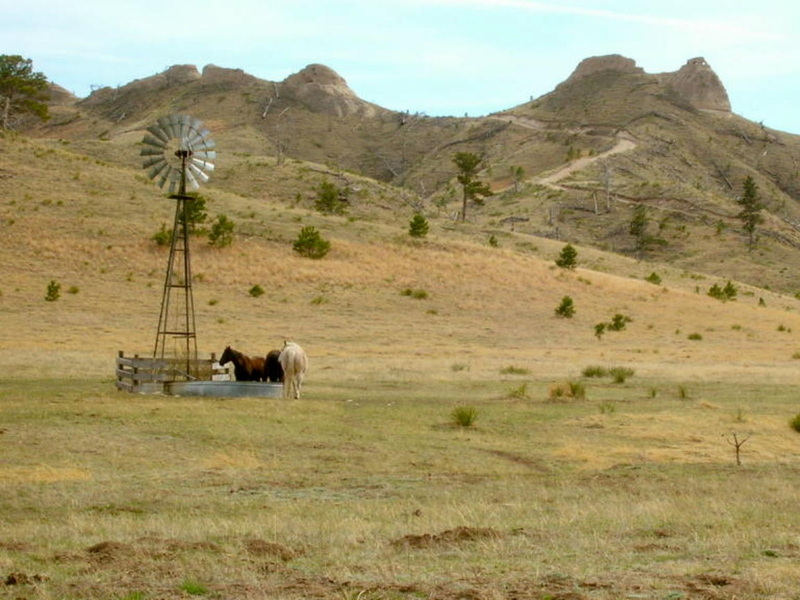 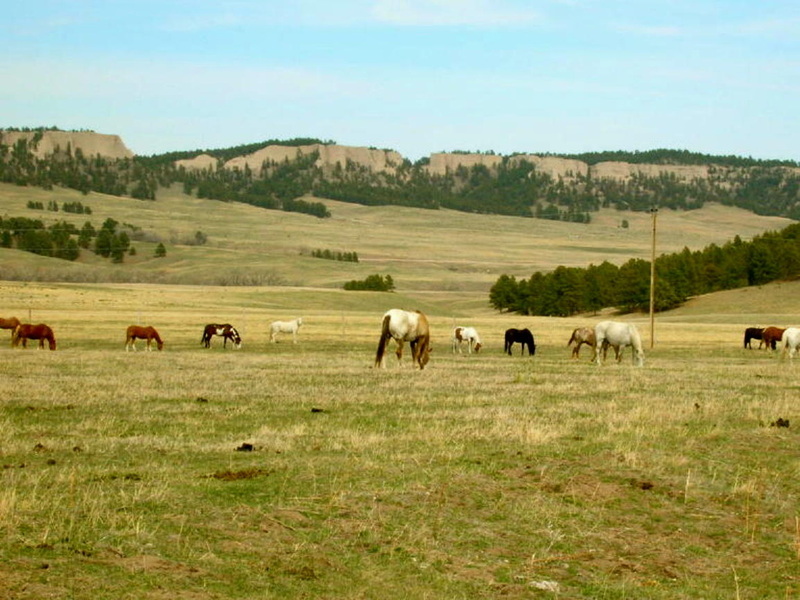 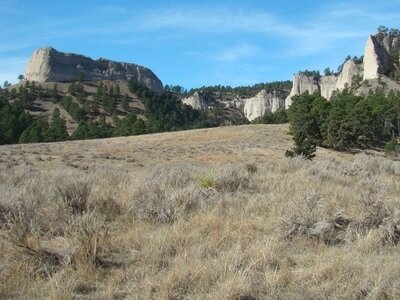 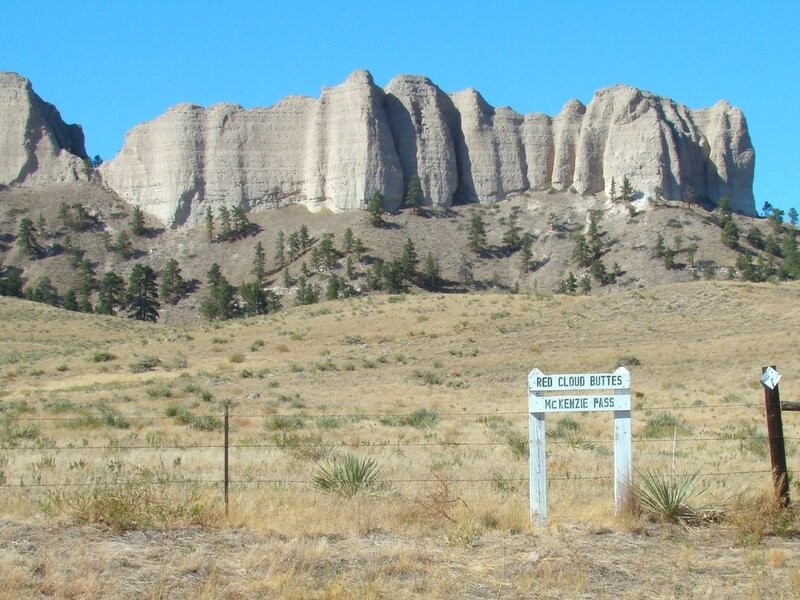 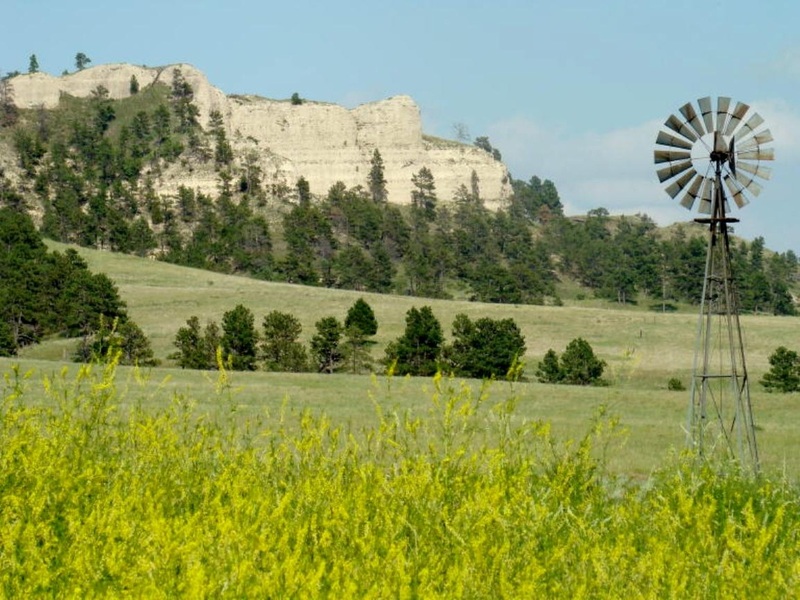 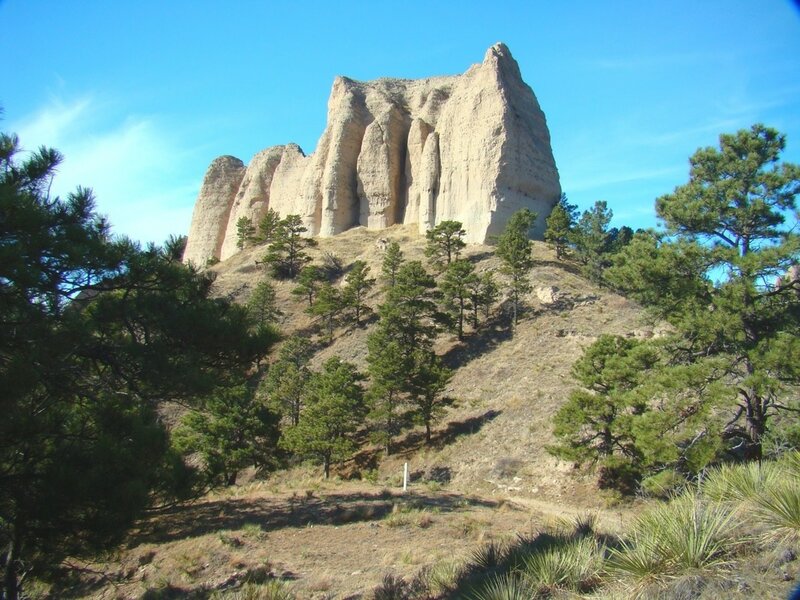 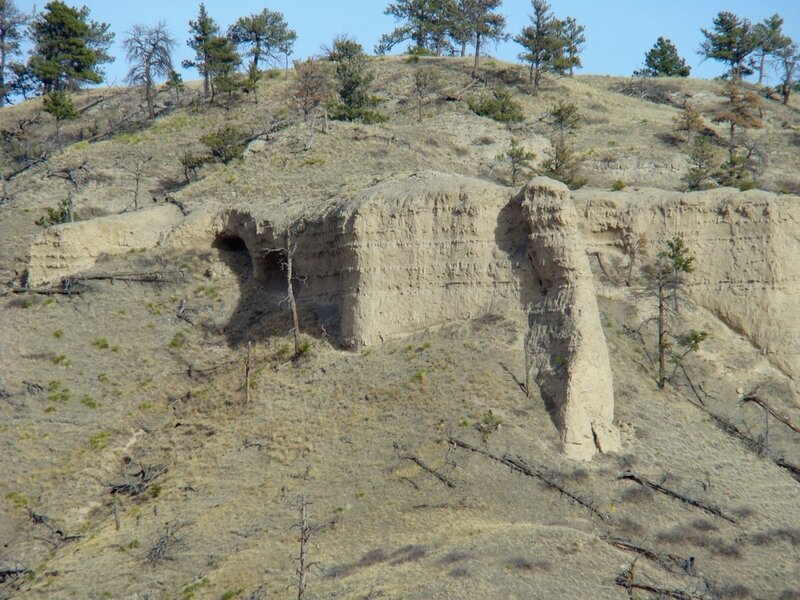 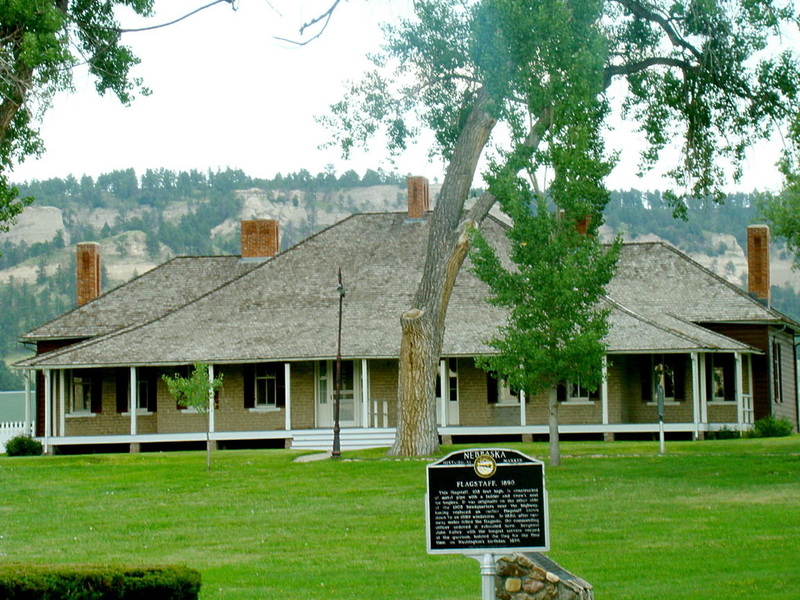 Fort Robinson is Nebraska's largest state park, and is adjacent to Soldier Creek Wilderness Area (administered separately by the National Forest Service). 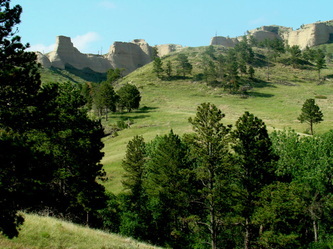 The area is covered with forests, meadows, streams, ridges, buttes, and rugged hills. Several small lakes also add to the fishing opportunities. 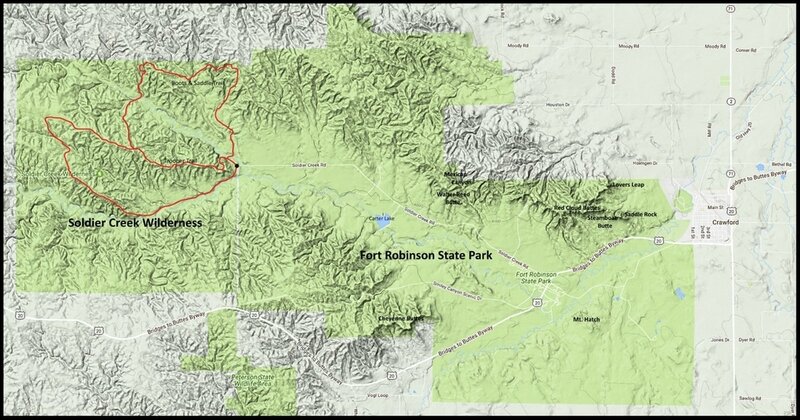 The estimated trail mileage between the two areas is over 70 miles. 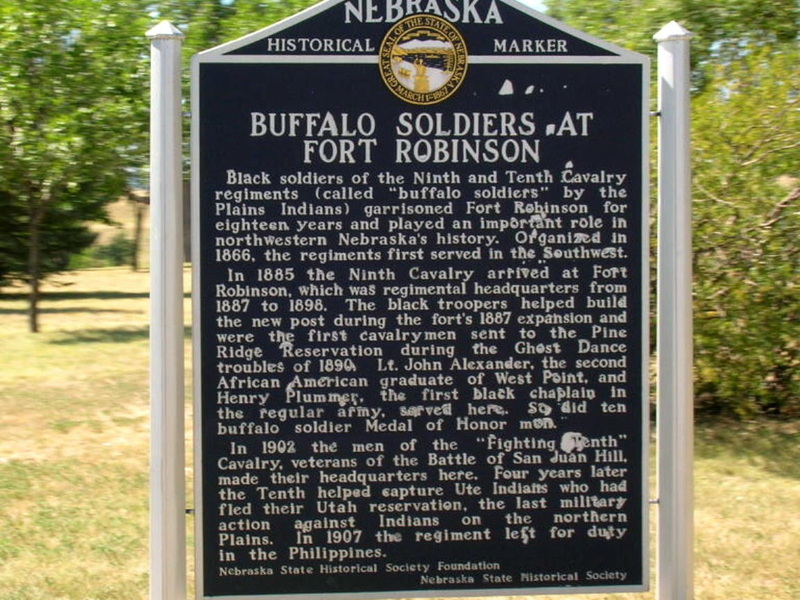 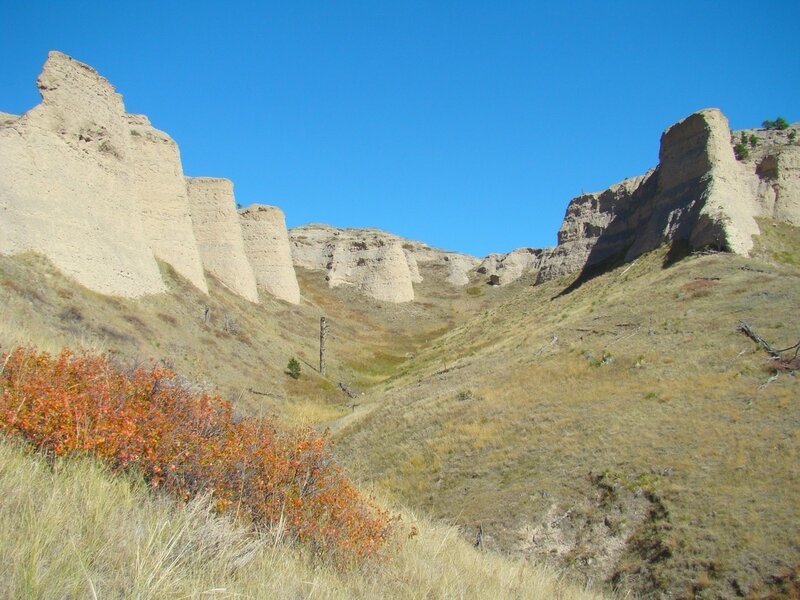 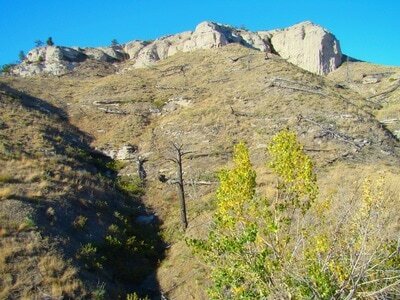 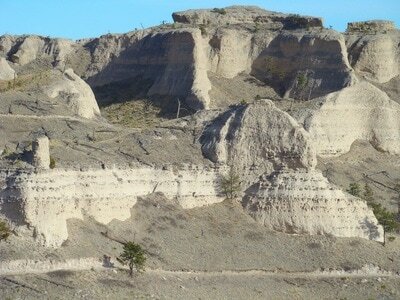 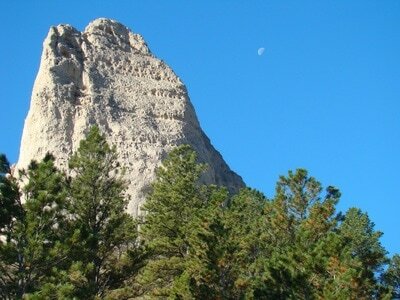 Fort Robinson’s trail system is mapped out on the Nebraska Interactive Trails map online. 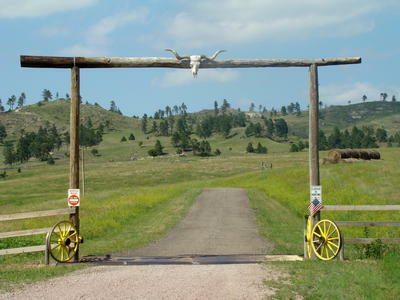 All of the trails are open to hikers, and most are open to mountain bikers and equestrians. Giants Coffin Butte (left) & Red Cloud Buttes.